The Gala gives us a great springboard to provide fresh water and share the Gospel with thousands more people. But we’ve got to continue this fundraising momentum so we can finish what we’ve started and transform an entire nation. 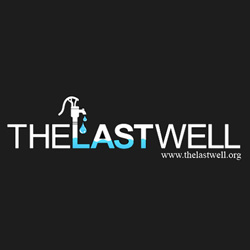 Access today announced that its partner The Last Well (TLW) obtained $309,000 in donations and commitments at its 4th Annual Fundraising Gala, held in Rockwall, Texas, on April 24. The record amount pledged by a sellout crowd will help the organization further its goal of bringing clean, disease-free water and the Gospel to every man, woman and child in Liberia by the end of the decade. As part of its continued support of TLW’s mission, Access was one of the 103 companies and individuals at the Gala that sponsored a Nimba County village’s well project. “It’s great that just $20 gives one person clean water for life, but we wanted to go further and help an entire community,” said Access founder and CEO Tim Elliott. To date, TLW has completed more than 1,500 water projects, bringing clean water to more than 1,000,000 people. To complete its mission in the next 56 months, the organization needs to reach 900,000 more Liberians with 2,500 additional water projects.